I love to make handmade gifts for others but sometimes the perfect gift is a gift card! Giving a gift card doesn’t have to be boring. I read somewhere that gift card sales increase when stores include free and unique envelopes for the gift cards. I created these paper purse gift card holders for my son’s teachers for teacher appreciation. They were super excited about the paper purse packaging for the gift card! I needed two paper purse gift card holders so you these photos will show photos of one or both purses. 1. Use the Silhouette and mat to cut the main body of the purse from the double sided paper. 2. Use the Silhouette and mat to cut the flowers and purse frames from the coordinating cardstock. These are all the cuts you should have when complete with Steps 1 and 2. 3. Adhere the purse frames to the inside and the outside of the purse. I used my Xyron 510 permanent adhesive. Make sure you insert the purse frames the right direction. Two of the tops face left and two face right. 4. (Optional) This step is optional but I can never resist adding a little bling to my projects. Add Stickles or glitter glue to the outline of the flowers. I chose a coordinating color for my orange purse. I didn’t have a coordinating Stickles color for my green purse so I just used white (Diamond) Stickles. Allow the Stickles to dry. 5. Curl the petals of the flower by curling them around a pencil or gently shaping them with your fingers. 6. Assemble the flowers with the largest on the bottom and the smallest on the top. 7. Add a brad through the centers of the flowers to keep them together. 8. Adhere the multi-layered flower to the front of the coin purse. 9. Carefully slide in the gift card and you are done! My gift cards were normal sized gift cards but I had a hard time sliding them into the gift card holder. I used scissors to increase the size of the small circles that are supposed to hold the gift card. I just continued cutting like I was cutting more of the circle out. I only had to make small cuts. Make a small cut and then see if the gift card will easily slide in. 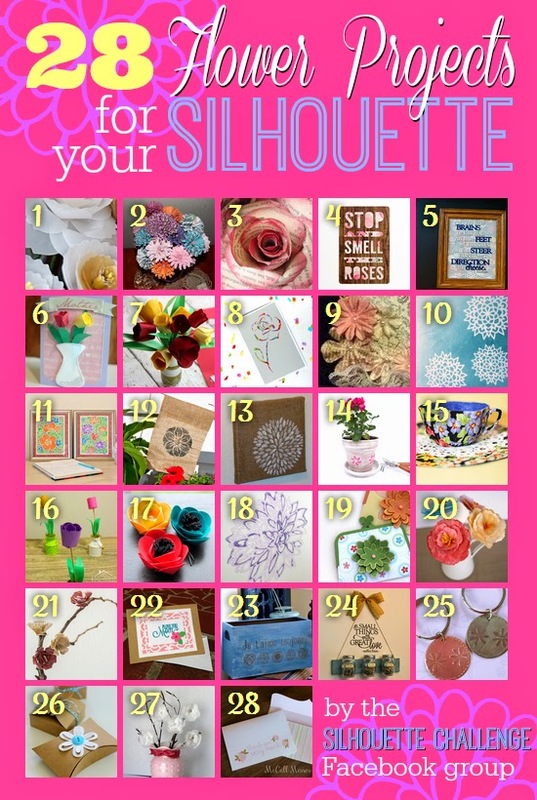 The May Silhouette Challenge theme is flowers. 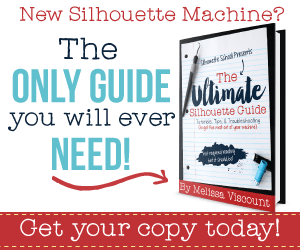 My Silhouette Challenge buddies and I are all sharing projects on our blogs today, so check out the projects below for more inspiration. The collage is clickable. Click on a project that you like and you will instantly be transported to that page. Enjoy looking at these amazing projects. These are just darling, Kelly!! Thanks Emily! I’ve made a bunch of different ones since I wrote this post. Everyone loves them. I think some love the paper purse more than the gift card! This is adorable Kelly and such a cute way to give gift cards. What a great project! I have actually thinking about getting a Xyron! Is it worth it? Thanks for stopping by creative spark link parties again this week! Yes! Love my Xyron 510 and my Xyron X. These are so very cute, what fun! What an adoarable gift card holder. Thanks for sharing. I love these! I wish I had the equipment I needed to make them. 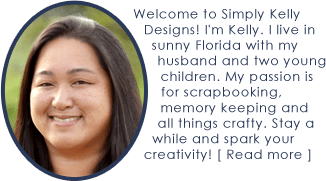 I have a ton of scrap booking supplies but not the silhouette machine. Super cute though! Ingenuous!!! This is a fantastic way to package a gift card that is pretty and special. Thanks for sharing. Wow! So creative! I am in love with these! They can be completely personalized. So smart Kelly!! Thank you Wendi! I love my Silhouette! I can’t wait for you to get one! These are absolutely adorable! Beautiful! the little purse is so perfect for a gift card. Love these! I’m always looking for a good gift card holder. Thank you Hannah! My son’s teachers loved them and didn’t even look in side. LOL.